After 5,380 votes in total and 1,500 shares, a closely fought contest was won by #IAMWHOLE – the NHS/YMCA mental health campaign featuring Rizzle Kicks' Jordan Stephens – receiving an incredible 2,180 votes. The campaign's vote was in part buoyed by one of the celebrities involved - shouty TV prankster Dom Joly - encouraging fans to vote for the campaign. 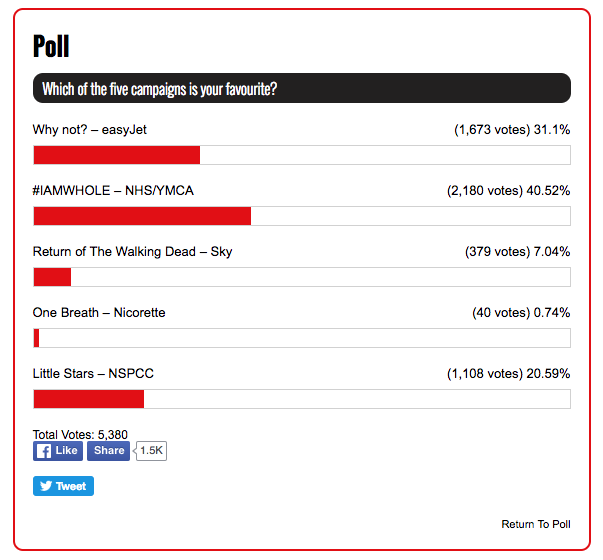 In a close second place, with 1,673 votes, was easyJet's Why not? 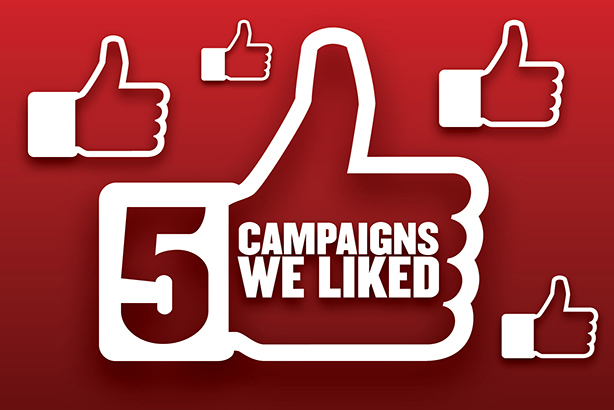 campaign and in third place, NSPCC's Little Stars, which was also clicked on more than 1,000 times. Spirit Media enlisted Jordan Stephens, one half of hip-hop act Rizzle Kicks, plus a host of celebrity influencers, for #IAMWHOLE – an NHS/YMCA anti-stigma campaign launched to coincide with World Mental Health Day on 10 October. Backed by, among others, James Corden, Ed Sheeran (pictured) and Dermot O’Leary, who used their influence on social media to spread the message, the central idea was to encourage people to post a selfie with a circle drawn on their hand to raise awareness. #IAMWHOLE, which was aimed at 11- to 24-year-olds, kicked off with the live launch of song Whole in the 162m-high BritishAirways i360 venue on Brighton beach. A national and regional PR campaign ran simultaneously.